This summer Groveland Gallery is offering two Plein Air Painting Workshops. Each workshop will be taught by an experienced local artist and take place over the course of two days. 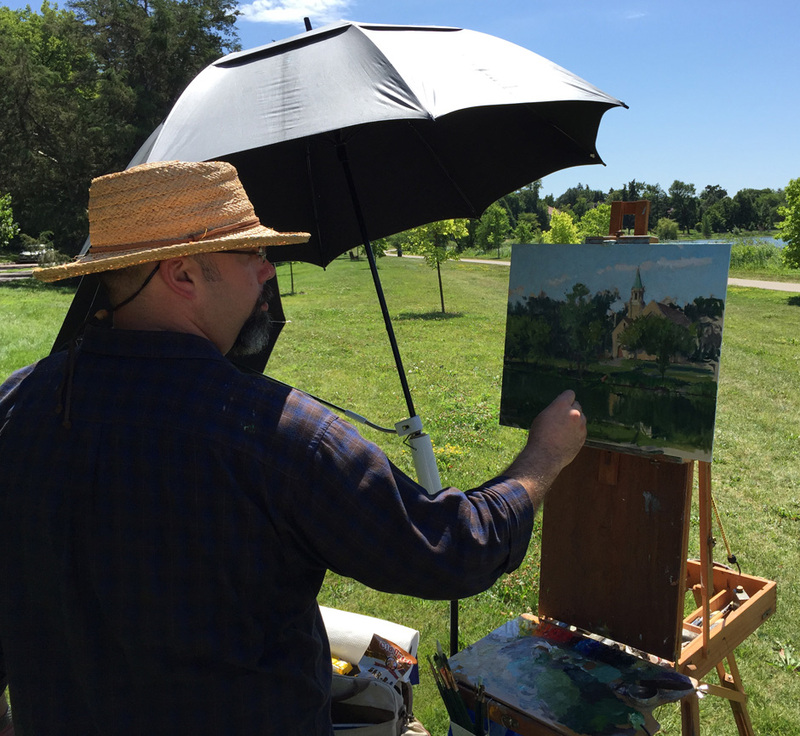 Participants will learn strategies for how to start an outdoor painting and (as important) when to stop. 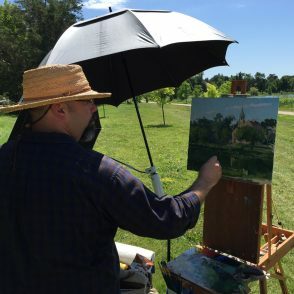 Through demonstration onsite and personal attention, individuals will also learn expert painting techniques and an understanding for how to organize and simplify visual subject matter when working outdoors. Detailed course information provided on this event page under “Read More”. Space is limited, please contact the gallery for more information and reservations: 612-377-7800. 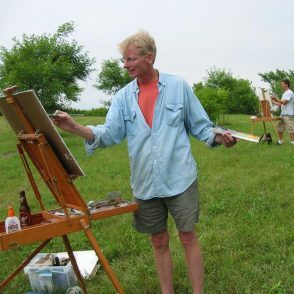 Well-known landscape painter Carl Oltvedt will guide students in plein air technique. Students will learn how to develop an approach to organizing visual information into a cohesive composition. Carl will discuss overall expression, as well as the properties of color, contrast, light, pictorial space, scale and proportion. Participants will focus on open views of the lake, sky, fauna and flora. All skill levels are welcome. 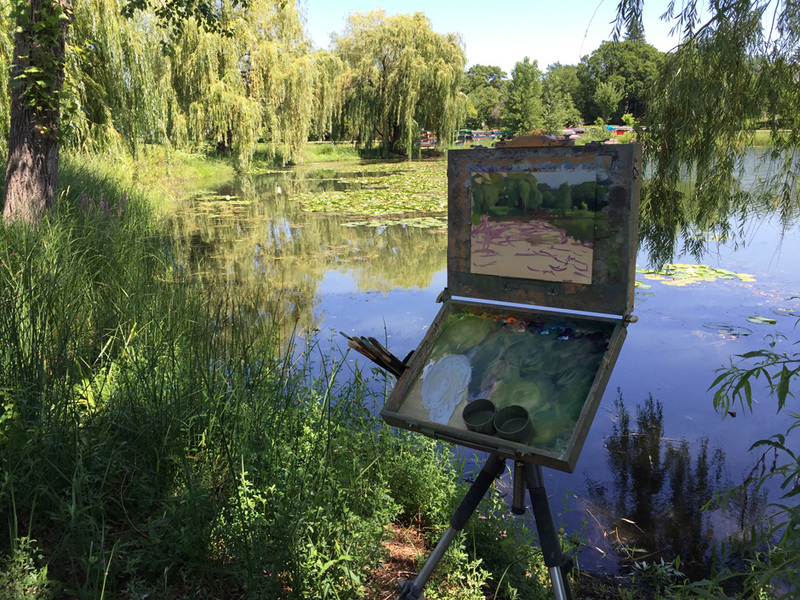 Painting a landscape on location offers a rich, varied and interesting experience. Knowing what you want to paint, and holding on to it through all the tumult around you, demands a deep and protracted focus. Participants will develop an understanding of how the light and air inform their compositions. Joshua will help artists deepen their connection to what they’re painting by helping them understand what they are seeing. Enjoy a great opportunity to spend two days in the newly opened Sculpture Garden.